Tungsten micro-lattices are produced by direct ink writing of a slurry of WO3-0.5% NiO submicron powders, followed by H2 reduction and Ni-activated sintering. The green bodies undergo isotropic linear shrinkage of ~50% during the thermal treatments resulting in microlattices, with overall ~50% open porosity, consisting 95-100% dense tungsten struts ~100 µm in diameter. Ball-milling of the powders and inks reduces the sintering temperature needed to achieve full densification from 1400 to 1200 °C and enables the ink to be extruded through a 200 µm nozzle. Full sintering densification is achieved through the addition of 0.5 wt% NiO to the slurry, which was also beneficial for the following infiltration with liquid copper. Partially-sintered struts with submicron open porosity were also infiltrated with Cu, resulting in a co-continuous W/Cu composites with wide W struts/Cu channel at the lattice scale, and fine W/Cu interpenetrating skeletons at the strut scale. The project currently investigates possible mechanical advantages of using a gyroid structure instead of a lattice structure. The continuous geometry might be able to eliminate stress concentration and hence making the structure tougher, especially at lower temperatures where the material is brittle. 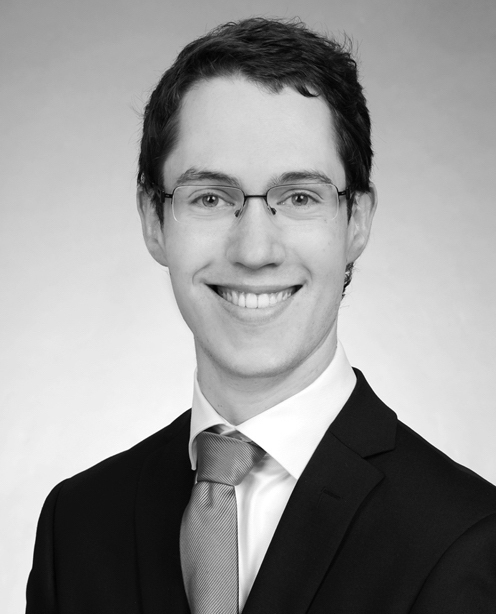 I was born and grew up in Switzerland and am studying materials science at the ETH in Zürich. Being fascinated by the possibilities additive manufacturing offers I decided that I’d like to explore the field and contribute to expand the possibilities. Hence I focused on this related topics during my studies.